Real history peppered with creative nonfiction characters and plots is a recipe for what should be a potentially engaging story. 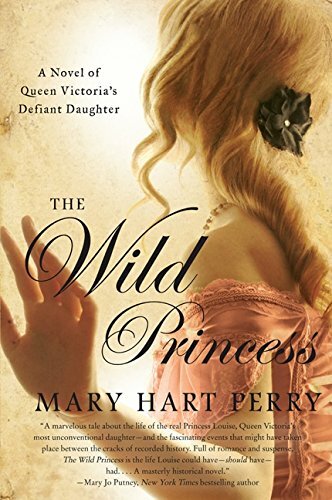 The Wild Princess by Mary Hart Perry takes this recipe and what rises to the top is at times a story with real intrigue and at other moments one that swells with ennui. Against the backdrop of Victorian England, The Wild Princess presents three separate stories that are loosely woven together but do not coalesce until the end of the tale. Louise’s marriage to a man of questionable sexual orientation and her search for true love, a dark secret from her own past, and the threat of Fenian rebels determined to bring about Ireland’s freedom from the shackles of English rule—all are the pieces that fold into this story. The third story—that of the Irish rebels is not clearly connected to Princess Louise’s life and trials; the reader wonders how the Fenians relate to the princess until the end of the story clarifies the relationship. There are moments when exciting scenes of conflict are too easily resolved and left in the dust as new conflicts arise and require attention—rats and pimps and arranged marriages all carry great potential but are developed with little substance. Ms. Perry does, however, bring tension and suspense to the end of the story with some bravado. As the relationship between the princess and The Raven develops, Ms. Perry does a nice job of taking it from an impossible affair to one the reader can root for; however, the deus ex machina of the ending is disappointing. The romantic male lead, in the character of Stephen “The Raven” Byrne, is well fleshed out and just what the female reader expects of the hero of a romance story. He’s handsome, capable, brave, and most of all patient thus possessing all the prerequisites. Ms. Perry’s other major and minor characters are true to their real historical counterparts, especially as she has fleshed out Queen Victoria, John Brown, and to some degree Disraeli and Gladstone. Her fictional characters are plausibly drawn although some of the situations she puts them in push the envelope of believability. The subtitle of the book—A Novel of Queen Victoria’s Daughters—is misleading, since this is the story of one daughter. A book note indicates that this is the first of a series, each focusing on a different daughter, and yet the title may lead a reader to believe the book discusses the entire family of females, not just one.